RG Cosmetics Copacabana Keratin Shampoo 1000 ml. - Just Beauty Products, Inc.
> Hair Products>All Keratins>RG Keratin>RG Cosmetics Copacabana Keratin Shampoo 1000 ml. RG Cosmetics Copacabana Keratin Shampoo 1000 ml. This unique, highly advanced formula is designed to be an integral part of any keratin treatment, lending longevity to the process. 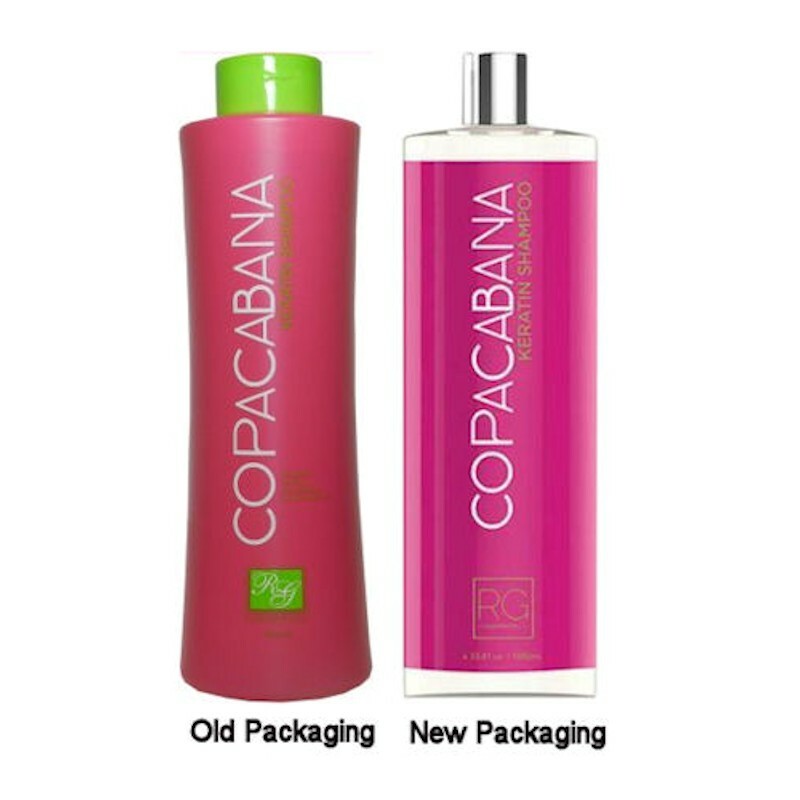 Copacabana Keratin Shampoo delicately cleanses your hair and is Salt and Sulfate free. Copacabana Keratin Shampoo contains vitamins, aloe vera, hydrolyzed keratin to provide nutrients to damaged shafts and improve cell activation to restore lifeless hair back to health. Cleans hair gently and thoroughly without dryness. Used on a daily basis to prevent split ends, repair damages and restore the resistance of hair. Ingredients: Aqua, C14-16 Olefin Sulfonate, Cocoamidodropyl Betaine, Cocoamide Dea, Aloe Vera, Acrylates/Steareth-20, Methacrylatecopolymer, Polyquaternium-7, Glycol, Fragrance, Acetamide Mea, Hydrolyzed Keratin, Panthenol, Propylene Glycol, Sorbitol, Sodium Cocoyl Collagen, Amino Acid, Cocoyl Sarcosine, Wheat Germ Acid, Triticum Vulgare (Wheat) Germ Oil, Linolenic Acid, Sulfur, Poly Sorbate 80, Oleth 10, Simmonosia Chinensis (Jojoba) Seed Oil, Tocopheryl Acetate, Hydrolyzed Glycosaminoglycans, Guar, Hydroxypropyltrimoniumchloride, Methylisothiazolinone, Citric Acid.